If you use one of the items above to access your home, office, parking garage or gym, you know that they can be a little hard to find. If your building does provide spares, they are likely overpriced and can take weeks to arrive. And all you want is an extra key for the dog walker! As your total access solution, KeyMe set out to fix this problem. 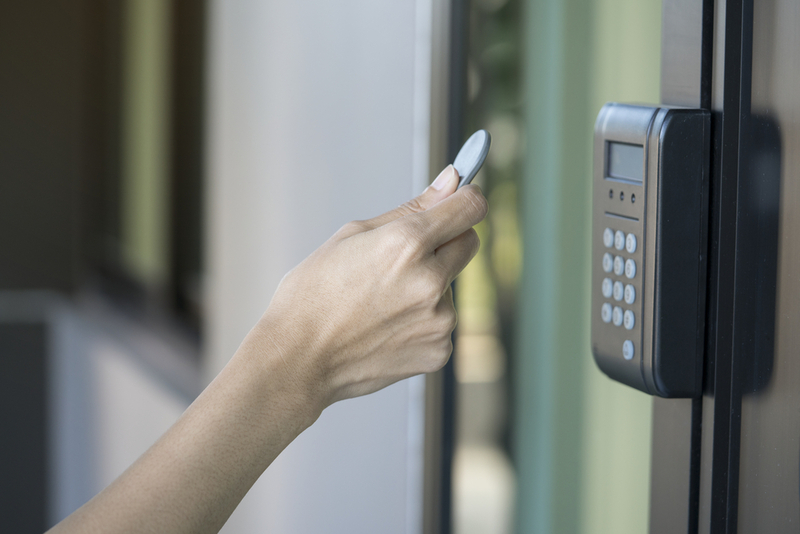 Our latest kiosks offer you the ability to order copies of your RFID access cards and fobs for a fraction of the cost of your office security desk or building manager. The process is simple. Just visit a kiosk, hold your proximity card / fob to the scanner and KeyMe’s cutting-edge technology reads the critical information so that our technicians can create a spare key just for you. If you are sick of carrying around your keys at all, KeyMe can also make you a sticker that you can place on your phone or wallet. With a sticker about the size of a silver dollar, you can turn your phone or wallet into a house key! The process is the same. We simply code your RFID into a sticker instead of a fob or card so it works just like the original. KeyMe’s RFID solution has arrived in many cities nationwide. To find a kiosk where you can copy an RFID Card or Key, visit https://www.key.me/rfid. As with all KeyMe purchases, we delete addresses after your order ships and we don’t store credit card info or any other personal information related to your key. All RFID keys are sent in an RFID-blocking sleeve inside an unmarked envelope. Our customers often ask if they are allowed to copy RFID keys, fobs and access cards. The answer is it varies. To be sure, check with your home or office building’s management, or check your lease to see if copying of keys is prohibited. Additionally, some RFID keys have security measures that prevent copying. We’ll let you know if we can copy it as soon as you scan it at your local kiosk. While KeyMe is expanding rapidly, bringing these new kiosks to stores across the country, we may have not gotten to your area just yet. So if you’d like to find out when you can expect to see the RFID service come your way, please contact support@key.me for more info.